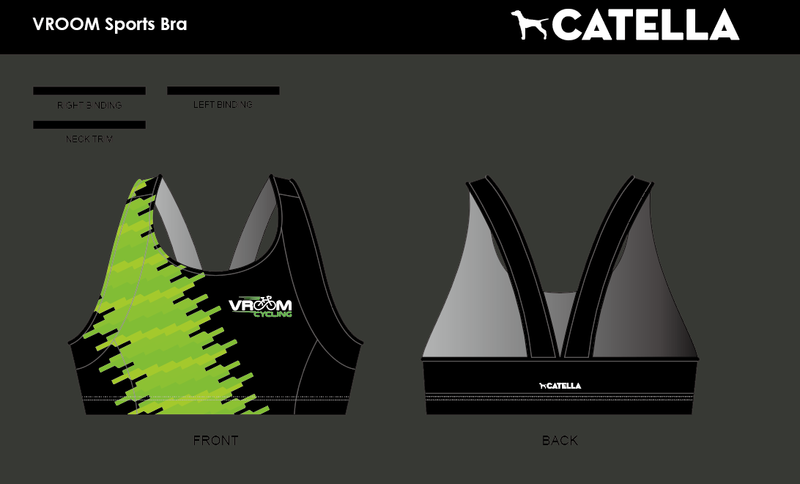 The VROOM Sports Bra is constructed with a light mesh fabric on front and back. 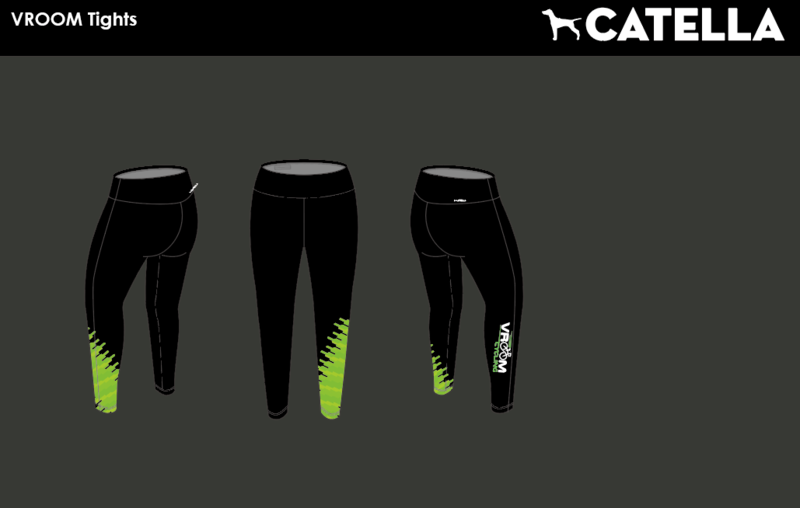 the under arms and sides contains a vented wide open mesh fabric. The arms are perfectly inset, creating a better fit thru shoulders. Large 3 pockets on the back keep your items secured. The VROOM Jersey is constructed with a light mesh fabric on front and back. the under arms and sides contains a vented wide open mesh fabric. The arms are perfectly inset, creating a better fit thru shoulders. Large 3 pockets on the back keep your items secured. Club cut Jersey has a slightly looser fit compared to Pro-cut. Club cut fabrics differ slightly. New! From VROOM Cycling Studio. Made with breathable, Italian Miti fabrics, these supportive tights wick sweat and dry in quickly to keep you going. This pen-back bra is for sports enthusiasts. Made with Italian Miti fabrics that offer great support and coverage with a cool, smooth feel. 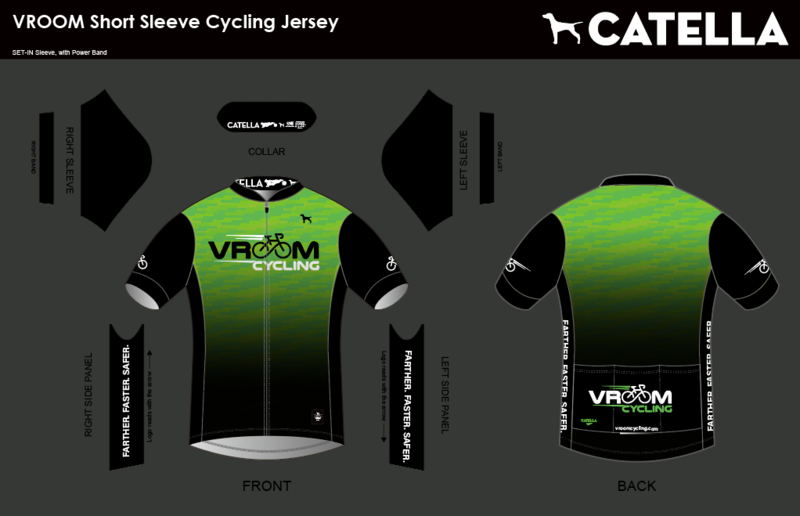 Get the VROOM Cycling Kit! Constructed with fine Italian fabrics. This Jersey at only 6oz is light an airy. 3 Pocket design on the back with additional, water resistant zip pocket. Premium Italian fabrics keep you on the saddle longer. Compressive supple and completely black. The comfort of these bibs is incredible. 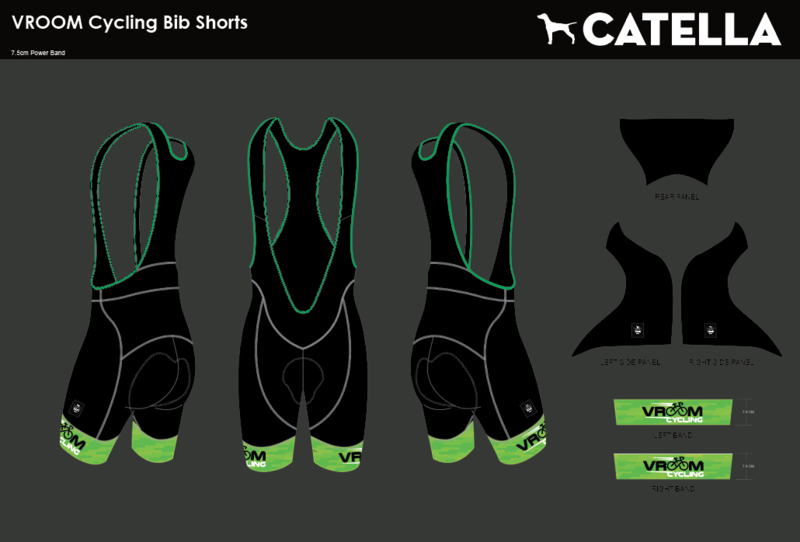 Built with an Elastic Interface 6hr chamois make these the go to shorts every single time.